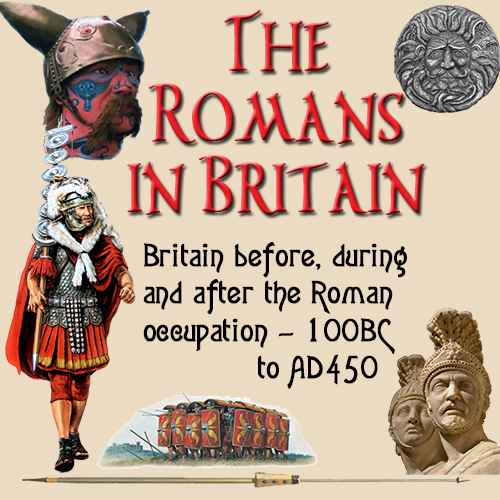 Under the Romans, the religions of Britain became fused into one overall belief that was a mixtures of Celtic and Roman attitudes, although the Roman view was naturally prominent. The worship of the gods and deities took place at many different types of temples and shrines. The most well known temples are the Sulis and Minerva temples at Bath and the Claudius temple at Colchester. It is from Bath that the best example remains, and it is here that archaeologists have desovered the most about the temples of Britain. Here the temple was built in an enclosure formed by a double portico, with the hot spring rising in the south east quarter, near the baths. This temple was especially important to the Romans, as it was situated near one of Britain's natural springs, and so was endowed with magical powers The spring supplied, and still does today, 500,000 gallons (2,250,000 litres) of water at a temperature of 122 degress farenheit (50 degress Celcius) daily. These baths were dedicated to Sulis and Minerva, with Diana being attributed to the Hot Baths also. The Temple at Bath is one of only two truly classical temples known from Roman Britain. It was the place where the cult statue of the goddess Sulis Minerva was housed. 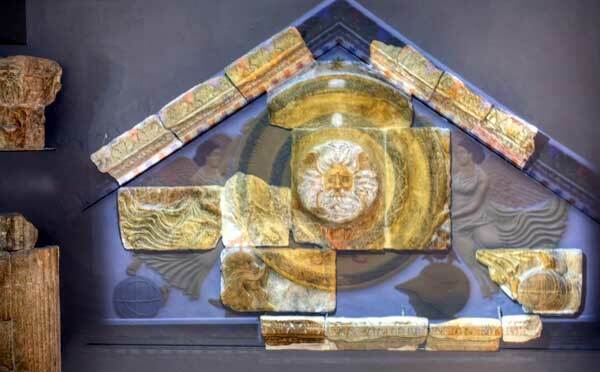 The great ornamental pediment survives, and has been re-erected in the Roman Baths Museum. An animation shows how the pediment would have looked in Roman times. The pediment carries the image of a fearsome head carved in Bath stone and it is thought to be the Gorgon? ?! "s head, which was a powerful symbol of the goddess Sulis Minerva. The illustration left demonstates one of the classic style temples that was seen throughout Britain. This temple is taken from Verulamium and shows the classic Roman structure that was based on right angles, with pillars running from the base to the roof. From reconstructions and models, it is likely that the inner unit rose to a tower above a surrounding portico. This raised portion would be used to display the statues for the cult figures. The interior of the temple would have been lit from the clerestory windows. The example shown here is from the temple at Caister-by-Norwich and demonstrates the octagonal Romano-Celtic style that was also very well distributed in Britain. In this design, two temples were built side by side north of the forum. At Springhead, the same design is shared by no less than four temples.